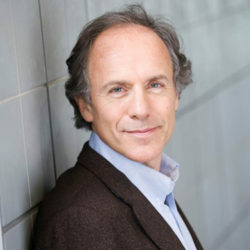 Australia’s Chief Scientist, Dr Alan Finkel AO keynote speech from 2018’s CONASTA, an annual science education conference. So I expect to see you all back here at CONASTA 2030. And I’ll put up my hand right now to appear on the program, even if I have to appear by hologram. This event has a special place in my heart. CONASTA was one of the first forums I addressed as Australia’s Chief Scientist, back in 2016. I set out my goals, and I asked you to hold me accountable. Well, we’re two years in. I’ve seen many encouraging developments, and they’re worth acknowledging. …and then see that speech reported in every outlet from the Daily Telegraph to the ABC? He touched a nerve. People care. And that confirms my impression that momentum is growing – in a good way. But I’ve also seen something else in these two years – something that I worry might derail our progress, or cloud the path. There’s a growing sense of confusion about what we actually mean when we speak of a “twenty-first century education”. I say “students should be work-capable” – and people hear “we need to teach generic skills like collaboration, instead of content knowledge like chemistry”. I can’t explain why so many well-meaning people associate being a twenty-first century worker with knowing less and talking more. But clearly, the onus is on me to explain what I do mean, and make the case for it. So today I want to use my time to do two things. First, I want to talk about why, in 2018, there is still a fundamental duty to teach students content: concepts, facts and principles. Taught by teachers trained as experts in that content, with all the status and resources and professional development that we would demand in any other expert occupation. Then second, I want to give you an update on progress towards the goal of a better education, a real twenty first century education, for all our children. Let’s begin with the importance of teaching content that genuinely challenges the student. And if you’ll forgive me, I’m going to lead into my argument via the book we could call The Sacred Text. I mean, of course, the best-selling most highly acclaimed science-fiction novel of all time: Frank Herbert’s “Dune”. If I can’t quote science fiction to science nerds – and we’re all science nerds here – then I’ll never get the opportunity. So I’m taking it now. But I promise, it’s relevant. So: about Dune. It’s a very thick novel published in 1963. It is well worth reading, but don’t watch the movie. Let me repeat. Do. Not. Watch. The. Movie. You don’t need to know anything about the plot, but I want to introduce you to the hero: a young man named Paul, an exile on a desert planet, trying to wrestle back control of a galactic empire. One of the first things you learn about Paul is that he has a remarkable capacity for adapting to new environments and mastering new skills. But the next thing you learn is that this capacity wasn’t born in him. It was instilled into him. He’d be taught a principle. He’d practice it, again and again and again. He’d apply it in a real-world context. … Paul thinks back to the lesson. He thanks his teacher. He applies the content creatively. And his mum survives. Page after page, we see Paul learning. He’s curious and flexible and agile and collaborative – not because he attended classes on how to be curious, flexible, agile and collaborative, but because he developed those skills in the context of mastering content. That’s the lesson of Dune. I didn’t grasp that lesson when I first read Dune as a teenage boy, but I realise now that Frank Herbert was describing a concept that IBM would later crystallise as the “T-shaped worker”. The vertical line of the T stands for deep expertise in a discipline. You have to acquire that first. The horizontal bar stands for your flexibility to apply that expertise creatively, as part of a team in a workplace, and to develop new skills as opportunities present. That comes second. Think of it like a garden trellis. Your subject, or discipline, gives you structure while you grow. Then you have the capacity to branch out. Without the trellis, you’re just groundcover, sprawling out in all directions, no matter how good the soil or how much love your parents pour in. And it turns out that people with trellises, T-shapes, are remarkably well-adapted to Planet Earth. I think of the current CEO of Google, Sundar Pichai. He was born in rural India. His family didn’t own a telephone until he was twelve. So needless to say, no iPad, no smartphone and no laptop. His first degree was metallurgy. His masters was in semiconductor physics. Then he joined Google. He developed the Chrome web browser that you probably use every day. When he was appointed to his first senior role he was praised by Google founder Larry Page for… wait for it… his deep technical expertise, combined with “tremendous entrepreneurial flair”. He’s said to be incredibly quick with calculations with a near-perfect memory for statistics. He climbed high, on a trellis. Or how about the leader ranked last year by Forbes magazine as the most powerful woman in the world, German Chancellor Angela Merkel. She studied physics at university because she did poorly in a physics course in high school and refused to be beaten. She went on to earn a doctorate in quantum chemistry. Her political success is often attributed to her capacity to approach problems methodically, combined with a brain described by German media as a “machine for learning”. One more example: Jeff Bezos, the CEO of Amazon and the richest person in the world. And he specifies that by “expert”, he means “domain expert”, who has mastered the content so thoroughly that she can play with it. So, building web browsers, leading Germany, running a global corporate empire or tackling giant sand worms on a desert planet whilst saving the galaxy: it starts with learning content, and mastering a discipline. Now it could be argued that all these leaders were the rarest of the rare: people who would work out how to succeed no matter what. So let’s look at the evidence from run-of-the-mill Australian workplaces employing bang-in-the-middle-of-the-bell-curve people. I have had many, many meetings with employers, in my role as Chief Scientist and as Deputy Chair of Innovation and Science Australia; and before that, as Chancellor of Monash University and President of the Australian Academy of Technology and Engineering; and before that, as the CEO of a publicly listed company. In all my meetings with people actually hiring graduates, no-one has ever said to me: “gosh, we don’t have enough people who know how to collaborate”. No, what they say to me is: we don’t have enough specialists in software engineering. We can’t find graduates who are fluent in maths. We have meetings where three quarters of the people in the room can’t critique a set of numbers without pulling out a calculator and slowing us down. They were asking for T-shapes, and getting flat lines – but the flat line wasn’t lifted up and anchored by that all-important vertical pillar. So I was deeply interested to read a report released last month by the New South Wales Department of Education, prepared by a team led by Professor John Buchanan from the Business School of the University of Sydney. Professor Buchanan was commissioned to investigate what today’s kindergarten children will actually need in order to thrive in the twenty-first century, not just in work, but in life. What he found was a widespread preoccupation with the so-called “soft” or “generic employability” skills, coupled with a belief that actually knowing things was outdated. But the evidence from every field of knowledge he drew on – cognitive psychology, education, philosophy, engineering, applied labour economics – said very clearly: give up content at your peril. I strongly agree. To be clear, Professor Buchanan acknowledges that future workers – or let’s say “future adults” – do need to develop what he calls “sound learning dispositions”: concentration, resilience, curiosity, and so forth. Indeed. It seems to me that the cruellest thing we can do to school students is take away the trellis of structured subject content, and with it, that deep-rooted conviction that they are capable of learning and contributing. But if we want a content-rich curriculum then we need teachers who are experts in that content. I’m going to return here to Dune. Remember Paul, the T-shaped ahead-of-his-time, save-the-galaxy hero? We are constantly reminded of the excellence of his education. He was trained by a master swordsman. A master musician. A master of mathematics and computation. And his mother: a master of warfare, politics, history, philosophy, chemistry, biology, and more. The point is that they were all subject matter experts, as well as gifted teachers. First, because they knew what they were talking about. And they explained it to Paul in structured lessons. Second, because they set the challenge at a high but achievable level. And third, because they rigorously monitored Paul’s performance and reported to his parents. Effective use of performance data. I want to single out that second characteristic: high expectations. Wouldn’t it be luvverly if children just woke up, on Monday morning, with a voice inside telling them that their true calling in life is… organic chemistry. But we don’t awake spontaneously to a knowledge of our talents and passions. We develop them by mastering the foundations – and that means sticking with it. Your passion, as teachers, is the glue. It’s particularly important to inspire children towards mathematics. Mathematics is the language of science. And none of us arrive in school at the age of five as native math speakers. We only gain fluency by learning things in sequence. And there is no substitute for the precious years of learning mathematics, in sequence, in school. We know this because we keep trying to find one. We allowed universities to remove the mathematics prerequisites from courses that really do need a strong grasp of maths – for example, science. At the same time, we allowed students to enter Year 11 in the belief that choosing advanced mathematics would hurt their ATAR. That’s how we ended up with a large cohort of students arriving at university and signing on for maths-intensive degrees without the foundations to last beyond their first semester. We have evidence – including data reported this year – that students who study foundation maths in school, rather than intermediate or advanced maths, are twice as likely to fail first year university biology and chemistry. But this insight isn’t new. In 2009, a study conducted at Western Sydney University looked at the performance of HSC graduates in first year university mathematics. 100% of the students who entered university with advanced maths passed. 77% of the students entered with foundation maths failed. I repeat, fewer than one in four of the students with a background in foundation maths passed the first-year university maths course. Some might struggle through with bridging courses – but the same study concluded that a short bridging course is an inadequate solution to the problem. So we’ve known this, not just by anecdote but there in the data, for at least a decade. And we’ve still allowed cohort after cohort of students to pay the price. It’s not just the price of dropping out, although that’s bad enough, mentally and financially. It might be even worse to scrape through, and then find that you can’t compete for a job. When I was a CEO employing IT graduates, we would look at their academic records. That got them through to an interview. But we would also put the candidates through a pressure test, such as a three-hour programming task. Not surprisingly, a certificate from a university that showed they scraped through was not enough to steer them through the test. We were looking for people like Paul: masters of their subject with the capacity to thrive in stressful situations. I read their resumes: the Pauls we discovered left their high schools prepared. Some university entrance course guides currently suggest that mathematics should be considered “assumed knowledge”. You “might like to consider” it? Are we seriously suggesting that you can pick up calculus in your spare time without an expert teacher to guide you? Assuming you feel like it? The time to ask and expect bold things from students is not at the end of the school education process – but from primary school. But if we ask for high standards from students we need to ask it of people who make the decision to be teachers – and we need to support those teachers as the expert professionals they are. So now let me turn to the progress of the last two years. Number One: we have opened the STAR Portal. Hands up any one in the audience who hasn’t visited our website for extra-curricular science programs. That’s your homework. Everyone else: spread the word. It’s a portal to a world of inspiration. Number Two: we have delivered the STEM Industry Partnerships Forum report. It was handed to Commonwealth, state and territory education ministers in April this year. I was privileged to be the Forum Chair. The mission we were given was to think more strategically about the role that employers can play in school education. It was not a hostile takeover of schools by companies. Every employer we spoke to was very clear that the responsibility lay with government, principals and schools. Their objective was to help. But they were used to thinking like businesses: seeing their investments lined up against the outcomes. That’s how you develop a new business line: pilot, evaluate, optimise, scale. When you’re a business and you put money into schools, how do you know if you’re actually helping? The answer is that you need academic researchers to follow the outcomes. But the researchers cannot do that without access to deidentified student data that transcends state and sector borders. But that data is not available because we do not have a national unique student identifier – one of the recommendations in the STEM Partnerships Forum report. Many of you here today would have first-hand experience of industry-sponsored programs that work, so we know they exist. But we can do more. We can get more businesses involved, and those who are involved can boost their impact, with better data, and more visibility of good programs that others can learn from. We’ve put those recommendations to the Ministers, and in the meantime, we’ve got people in industry thinking about what more they can do. Number Three: we have seen, at long last, some signs of positive movement on the ATAR and pre-requisites. Recommendation Two of the STEM Industry Partnerships Forum report says: review how the ATAR can incentivise students to study the most advanced and appropriate subjects, and the impact of universities having dropped pre-requisites for courses that require a strong foundation in mathematics. When we included that recommendation I thought it might attract some comment. It ended up on the front page of the Sydney Morning Herald. So I am not alone in my concern that we are sending the wrong signals to students, to parents and to principals. You, our science teachers, know better. And the sector is listening. The Council of Deans of Science has commissioned ACER, the Australian Council for Educational Research, to look at the relationship between the mathematics studied at high school and performance at university, so that the evidence can be put directly to the decision-makers. 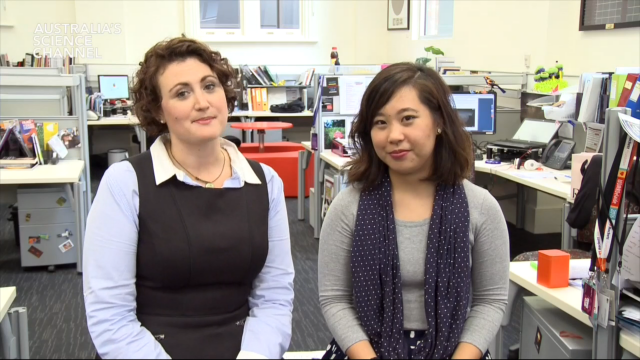 The New South Wales Education Standards Authority is working with universities to investigate the perceptions and reality of ATAR gaming with lower level maths. Western Australia has already taken steps to boost the recognition of advanced maths in the calculation of ATARs. And the Australian National University has announced that from 2022, if you want an undergraduate place, in any discipline, then you have to study both English and maths. We’ve got a long way to go: but at long last, this is real momentum. Let’s keep up the pressure. Which brings me to the unfinished business. Yesterday, Minister Birmingham laid it out in the starkest terms. It is unacceptable that secondary school students are taught science or maths subjects by people without specialist skills in science and maths. The Minister has defined a new aspiration. Every high school should have access to specialist teachers to teach science and maths subjects. And we should strive to achieve this within the next five to ten years. The aspiration comes with expectations, on state and territory governments and universities. In welcoming that aspiration, I hope that we will not just focus on initial teacher training – as important as it is. 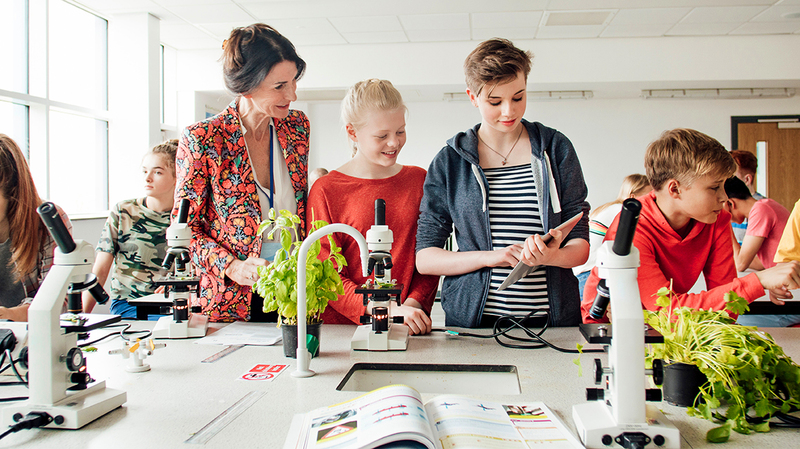 In-service professional learning is critical, too – a lesson I am urging politicians to learn from the STEM Partnerships Forum report. Recommendation 3 states: Develop minimum national requirements for teacher professional learning, a proportion of which should include relevant, discipline specific professional learning, that must be satisfied in order to retain ongoing registration as a primary or secondary teacher. Recommendation 4 says: support principals and lead teachers to develop and implement high quality professional learning materials and teaching practices in mathematics, science and technology. I recognise that it is not fair, reasonable or realistic to impose a raft of new requirements on teachers that schools simply lack the resources to meet. But nor is it fair, reasonable or realistic to expect the system to change by itself. You, of all people, know that in life as in stoichiometry, the equation has to balance: inputs to outputs. How do you optimise a chemical reaction? You find the right catalysts. In the stoichiometry of education, there are many potential catalysts: from the curriculum, to teacher training, to school leadership, to workforce planning and class sizes. But we have to find them and deploy them like chemical engineers: with evidence, with strategy and most of all, with clarity of purpose. Putting requirements on universities and education authorities is a way of sending the signal: this has to be a priority. You are the expert teachers who can see the future and are already striving to lead the change. It is time for Australia to recognise that contribution, resource that contribution, and extend that contribution. We must ensure that our students are taught to master content, lots of it. We must ensure that all specialist teacher are subject-matter specialists. We must restore the relationship between universities and schools through prerequisites that send signals to principals, teachers, parents and students. We should make data on outcomes available for the benefit of students and for impact research. And finally, we must clarify the role and operation of the ATAR so that it does not inadvertently send the wrong signals. I began with my one certainty for the classrooms of 2030. Let me finish with a challenge to everyone here today. You are our science teachers. Artificial intelligence. Gene editing. New sources of energy. So much more. You see the humans in front of you and the technology already entering the classroom, continuing to evolve together. So you are the Ambassador of the Future in your school. I hope you will embrace that role, and challenge your students to think about the sort of society we want to be. And I hope you will keep making the case in your schools, and to your colleagues, for nurturing those T-shapes: if you need to, by reference to Dune. If you remember nothing else, take away that lesson: heroes learn hard content from fabulous teachers. Oh – and Never. Watch. The. Movie. This is an edited version of a speech given by Dr Alan Finkel at 2018’s CONASTA, one of the biggest conferences and showcases for Australian science educators. Dr Finkel is a neuroscientist, entrepreneur and philanthropist. He invented a commercially successful device which substantially speeds up drug research. Dr Finkel is the President of the Australian Academy of Technological Sciences and Engineering (ex-officio) and Chancellor of Monash University. He founded the science magazines Cosmos and G: The Green Lifestyle Magazine, contributes towards a number of research institutes and is Patron of the Australian Science Media Centre. In 2016, he was appointed Australia’s Chief Scientist.